According to the New York Times, the shooting suspect is named Robert Lewis Dear. He is reportedly 59 years old. The University of Colorado has revealed the name of the police officer killed in today’s shooting. A UCCS police officer, Garrett Swasey (pronounced /Sway’zee/), 44, responded in support of Colorado Springs Police to the active shooter situation at about 11:50 a.m. Friday. He was killed in the line of duty. UCCS officers are sworn, state-certified police officers. Officer Swasey was on duty at the campus and responded in support of Colorado Springs Police. 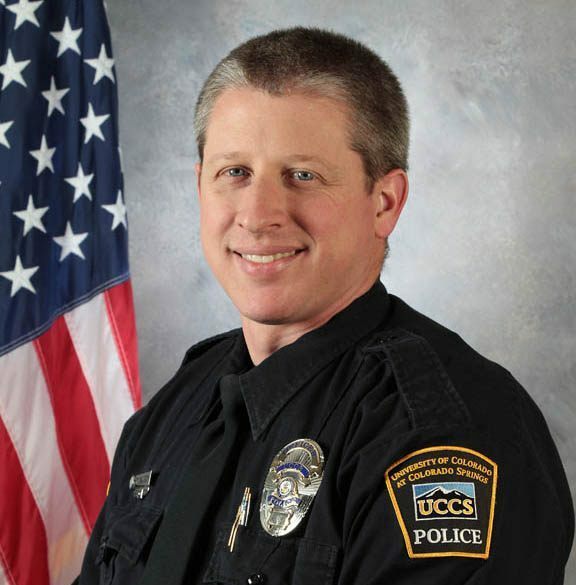 Officer Swasey was a six-year veteran of the UCCS Police Department. The number of confirmed slain victims has increased to three. Fox News Channel reports at least four officers have been injured in the standoff with the gunman. Buckley said the suspect has not been identified and that reports to contrary are premature. Colorado Springs police chief Catherine Buckley says Colorado Springs PD has personnel in the Planned Parenthood building affecting rescues. She said officers are also rescuing people from the strip mall to the south of the Planned Parenthood building. She says CSPD personnel have only encountered one gunman and that law enforcement personnel continue to take fire from him inside the building. At 2:07 p.m. Gazette reporter Stephen Hobbs tweeted: “A law enforcement officer [was] loaded onto a stretcher from [a] police armored vehicle.” This coalesces with other reports that three officers have been injured trying to confront the gunman. 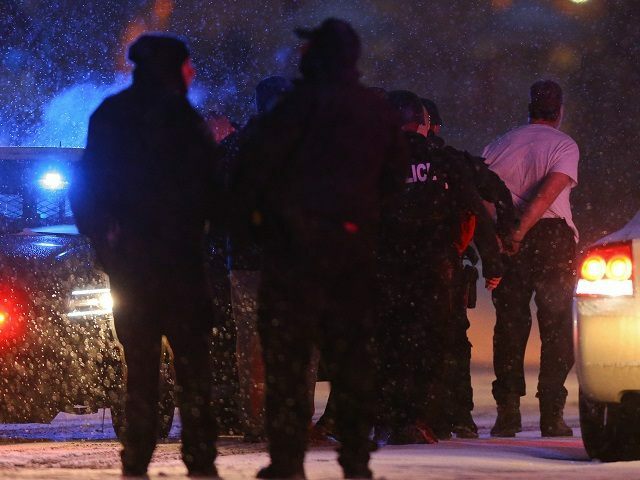 Colorado Springs police officers have a lone gunman at a Planned Parenthood clinic contained. Fox News reports that three officers have been injured by the gunman and that one clinic patient was injured as well. Colorado Springs police and Colorado State Police are positioned around the clinic with guns drawn. The gunman allegedly shot out the rear window of one of the responding police vehicles. Details are scant but Colorado Springs indicate they have responded to a call of an “active shooter” at a Planned Parenthood clinic.